It was back in 2011 when Volkswagen finally released an updated version of the “New Beetle”. The 2012 model corrected many of the missteps of the earlier version – which after 14 years was really starting to show its age. The greenhouse windshield was removed, as was the bud vase and the plastic flower it contained. 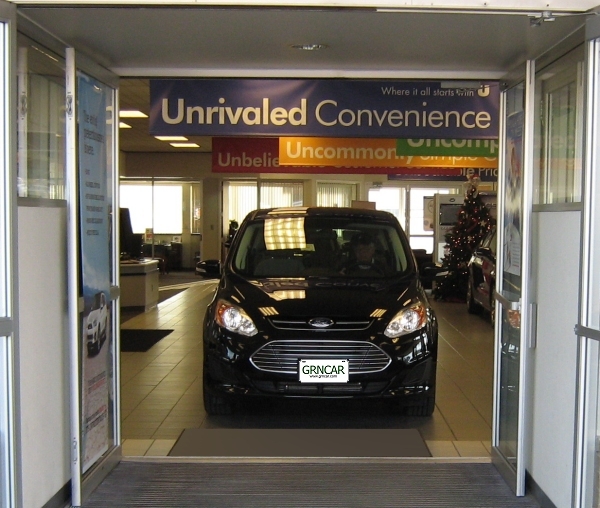 Other improvements included Bluetooth, heated front seats, and an eight-speaker sound system – all standard. Last of all Volkswagen changed the name; it went from the “New Beetle” to just the “Beetle”. Now it’s 2014 and the Beetle has established itself as a decent selling alternative for those of us who either fondly remember our first Beetle (mine was a yellow ’74) or those who just want something a little more stylish than a Toyota Camry. The big update for the 2014 Beetle is its new, turbocharged, 1.8 liter 4-cylinder gas engine. Last year’s Beetle was rated by the EPA at 22 miles per gallon in the city and 31 miles per gallon on the highway for a combined rating of 25 miles per gallon. This year’s Beetle improves those numbers by almost 10% in the city and about 7% on the highway. The new engine won’t be available until later this year but it promises approximately the same performance as last year’s. Unfortunately the improved mileage comes at a price. 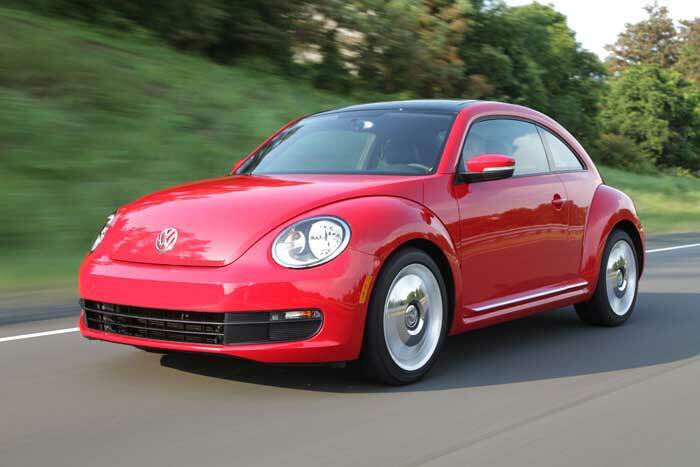 The base price for the 2014 Beetle increases by $300 to $20,295 (base version with a manual transmission). One good thing, unlike some German turbocharged engines, the base model’s engine stills uses Regular gas. For the record, last year’s more powerful turbocharged, gas engine Beetles, have been rebadged as the “R Line” in the hope that the new name will minimize confusion with this year’s base model Beetles containing the new smaller, less powerful, turbocharged gas engines (good luck with that). One of the nice things about the Beetle is the base model is (as car dealers say) “equipped, not stripped”. The Beetle offers as standard many features that aren’t typically seen (or even available) on some other manufacturers models. Heated seats are nice to have any winter, but given an excruciating winter like this one they become a necessity. Fortunately they come standard on the Beetle. The Beetle’s audio system has 8-speakers that put out very good (not great, but perfectly acceptable) sound and it includes Bluetooth® at no extra cost. The Beetle’s interior still features lots of shiny plastic on the dashboard, but actually, I’m okay with that. It doesn’t seem cheap and it adds a lot of fun. 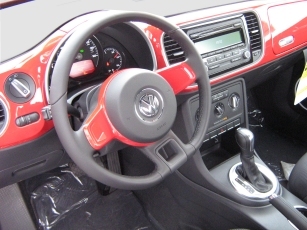 I like the standard heavy-duty vinyl seats (VW refers to them as leatherette) especially when compared to the ugly cloth seats you find on many lower priced vehicles. On the other hand, if you prefer cloth seats you’ll need to move up to the more expensive R Line ($24,995 starting price). Leather seats are also available as an extra cost option in the R Line Beetles. Over the years I’ve found Volkswagens, like most German cars, are well made and fun to drive. The 2013 Beetle had decent power with its 170-hp engine and 177 lb-ft. of torque and remarkably, the new engine, even though smaller and minus a cylinder (4 instead of 5) has the same amount of horsepower and torque. Since horsepower and torque remain the same I would expect handling and acceleration to remain essentially the same. Quick Comparison Table – – all models comparably equipped with manual transmission. Smart key N.A. Standard N.A. *Fuel economy figures courtesy http://www.fueleconomy.gov. All use Regular unleaded. All pricing and specifications are subject to change without notice. **Fuel economy figures for the 2013 MINI Cooper. The fuel economy of the Hardtop is predicted to be about 10% better. If you don’t like a stick-shift, the 2014 Beetle with an automatic transmission actually gets slightly better mileage (an additional mile per gallon in the city). Although the turbo-diesel version of the Beetle is rated still higher (29 city, 39 highway, 32 combined miles per gallon) by the EPA the higher cost of diesel fuel almost completely offsets the diesel’s greater fuel efficiency. The EPA concluded that the diesel fueled beetle will only save you 50 dollars per year ($1,800 vs. $1,750) when used with a manual transmission. The Beetle may not be a car for everyone, it is a 2-door so the back seat can be hard to get in and out of, plus the headroom is a little tight in back due to the lower roofline. Also, the Beetle doesn’t have as much cargo space as many other cars in its price range. 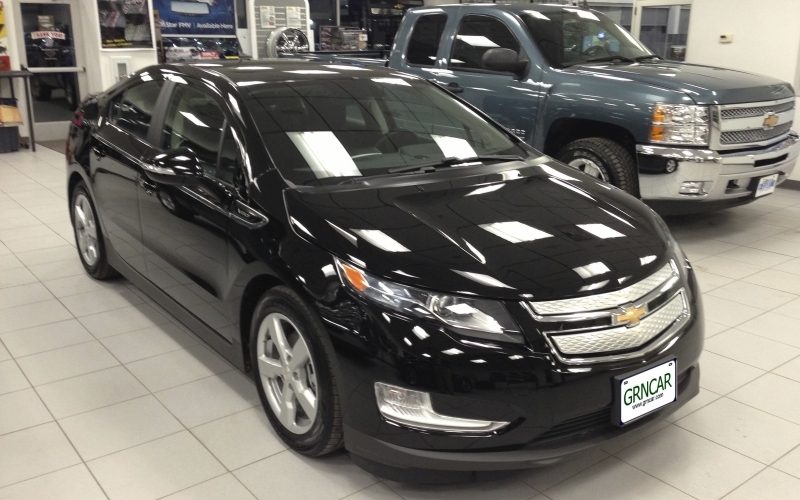 Still, it is a lot of fun and offers a lot of style (both inside and out) at a reasonable price. Maybe not as much fun and style as the new MINI hardtop, but still a lot of fun in a larger, possibly more practical, vehicle.